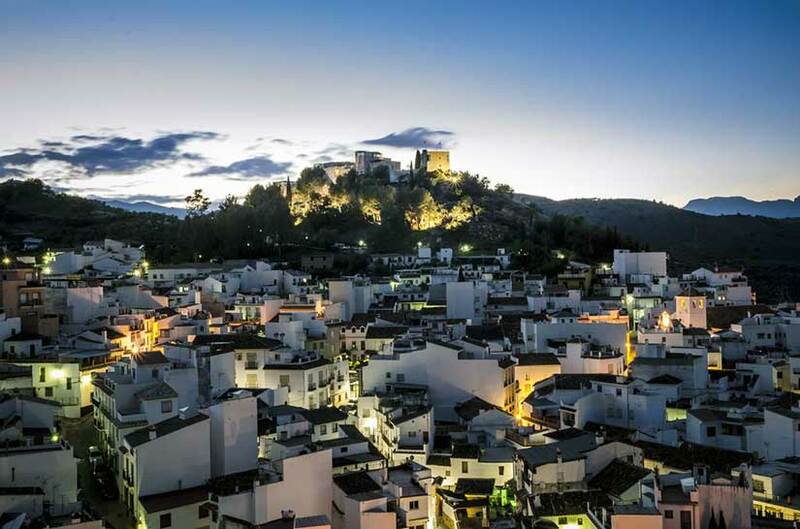 Monda lies in the foothills of the Sierra de las Nieves, its municipal area forming part of the natural park of the same name, and retains the hallmark of its Arabic past in the shape of its steep, narrow streets lined with whitewashed houses standing in the shadow of the castle, built on the ruins of the former Arabic fortress and rehabilitated for touristic purposes. Insufficient details are available for us to be able to identify this village with the Roman Munda, scene of the battle between Caesar and Pompey in 45 B.C. ; its name is probably derived from “El Mundat” Castle, built in the 9th century by Omar Ben Hafsun to fortify his positions against the attacks of the last emirs of Cordoba (886-912). The castle, razed to the ground by Sab Al-Mundir, was rebuilt in the 11th century by the Hammudies; today, on the site of its ruined walls, part of the old fortress has been rehabilitated and its interior turned into a hotel. In 1485, the village was conquered by troops of the Catholic Monarchs led by Hurtado de Luna, who became its first Christian governor. It fell under the jurisdiction of Malaga, and its inhabitants were allowed to continue living in the area as mudéjares (Moslems permitted to live under Christian rule). After the 1501 rebellion in the Serrania de Ronda region and Marbella, they were forced to convert to Christianity. In 1570, following the decision to expell the moriscos (Moslem converts to Christianity) from the kingdom of Granada, the village was repopulated by Old Christians.